On October 25, 2014 we held a special witnessing workshop for two witnessing centers. All together 11 people participated. Members told about problems they faced on witnessing and together with elder leaders they tried to find the ways to solve these problems and difficulties. After the meeting everybody shared that it was useful both for leaders and members. 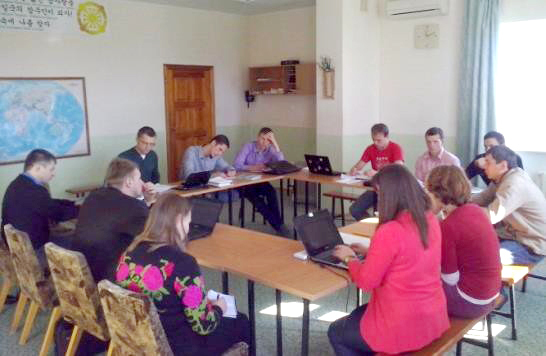 On October 27-28, 2014 we held a meeting for the witnessing center leaders in Kyiv. 14 people participated. We discussed the importance of right interconnection between internal and external goals in witnessing. Witnessing center leaders went back to their mission cities with new determination to invest in God’s Will. 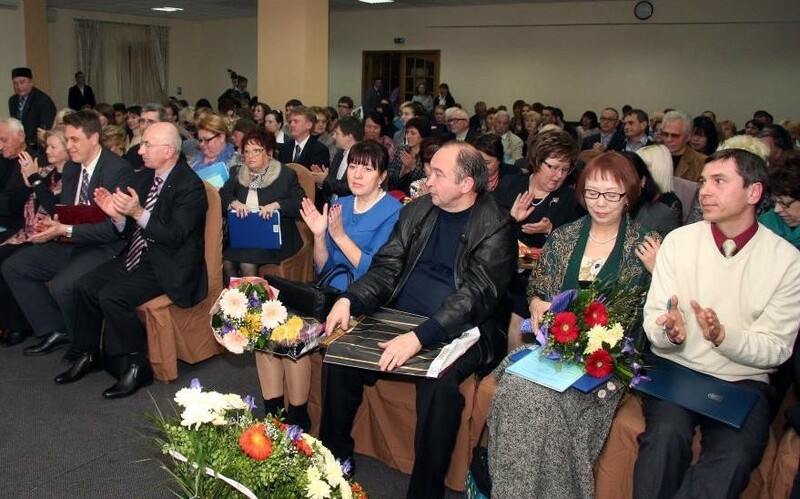 On October 24, 2014 UPF-Ukraine held the annual international conference entitled “The historical roots of Ukrainian peacemaking”. In the conference hall of the “Kozatskyi” Hotel located in the heart of Kyiv more than 200 participants gathered, including Ambassadors for Peace, representatives of NGOs and public organizations, leaders of education and culture, and international guests. 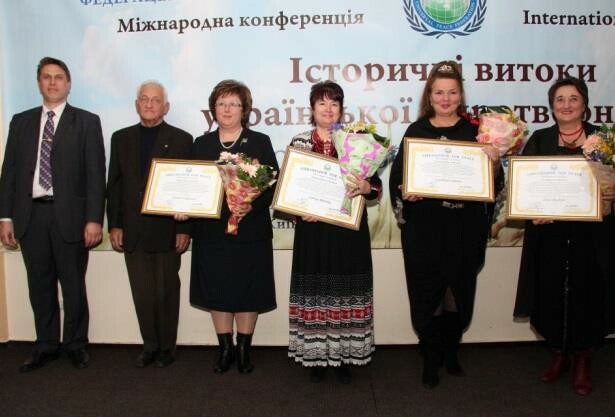 Eight people committed to the idea of world peace were awarded the title of Ambassador for Peace. In the end of the conference UPF- Ukraine made a suggestion to establish an educational program “Young Ambassador for Peace” and “Youth Ambassador for Peace”. Through this program young Ukrainians could be able to participate in the formation of true Ukrainian nation. Conference participants wished to the organizers much success and expressed their desire to cooperate in promoting the ideas of the Universal Peace Federation in Ukrainian society.